Mix and Chic: Cool products alert- Cocoa & Hearts! 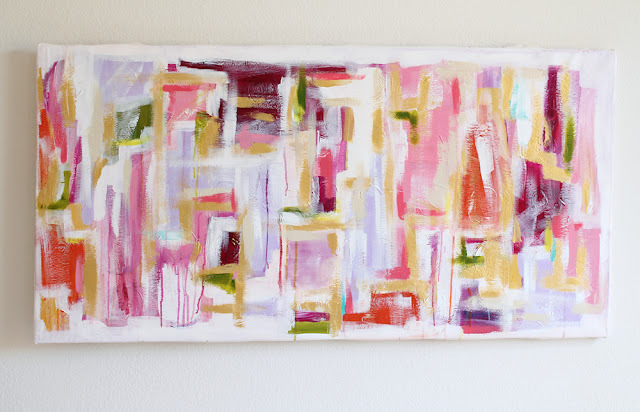 Featuring original and gorgeous abstract paintings on canvas, Cocoa & Hearts by the multi-talented and stylish Jen Ramos from Made By Girl who also runs a successful cards and prints business. Cocoa & Hearts is a recent venture of Jen and her beautiful artwork is a such big hit. Believe it or not, more than half of her paintings were sold within three days after it was launched! Below are a few examples of her amazing work! My favorite paintings are 'Gold & Wine' and 'The Beginning'. What attracted me to her paintings is her use of happy and vibrant colors. I think her paintings are very versatile and they can be easily incorporated anywhere in a home to liven up a dull space. What do you think of Jen's painting? Do you have a favorite, too? For more details on Jen's artwork and pricing, please go to www.cocoaandhearts.com. Love 'The Beginning' the best :) She makes me want to pick up a paintbrush and start making something of my own. I love these too! Everything is so colorful and personalized. I'm loving all of the colors she's using. Gotta love the colours of "Gold & Wine"! It's not hard to believe that the paintings were sold quickly. 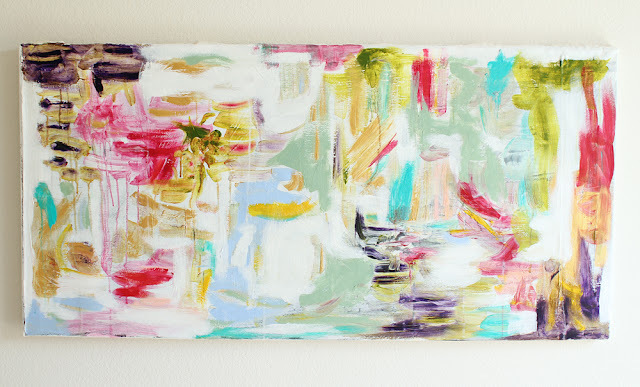 Jen's paintings are so much fun! She uses great colors and the energy of the pieces are amazing. Ah...I want one of these for my room! So lovely! 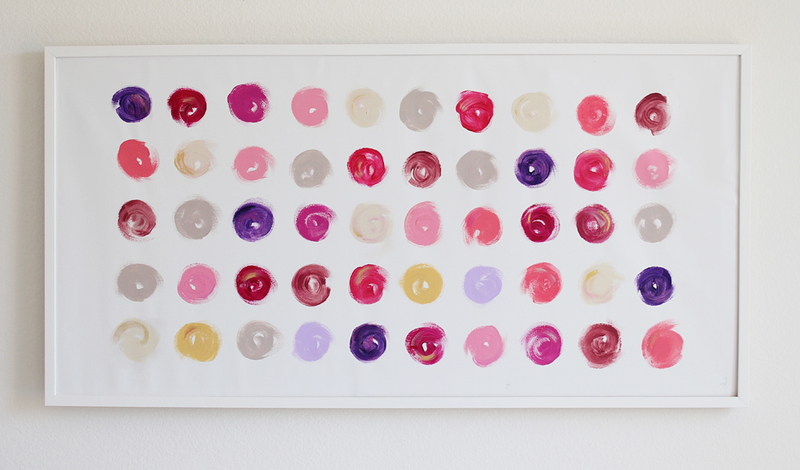 I love the lipstick dots :)I'd love to have "the beginning in my bedroom. fantastic colors that could inspire bedroom decor. I love the lipstick dots! So fun! Jessie! Hi there! Thank you so much for writing about Cocoa & Hearts! I will include you in my thank you post! :))) PS. THANKS also to everyone who commented...i appreciate it! jessie...isn't she awesome? I love her paintings!!! 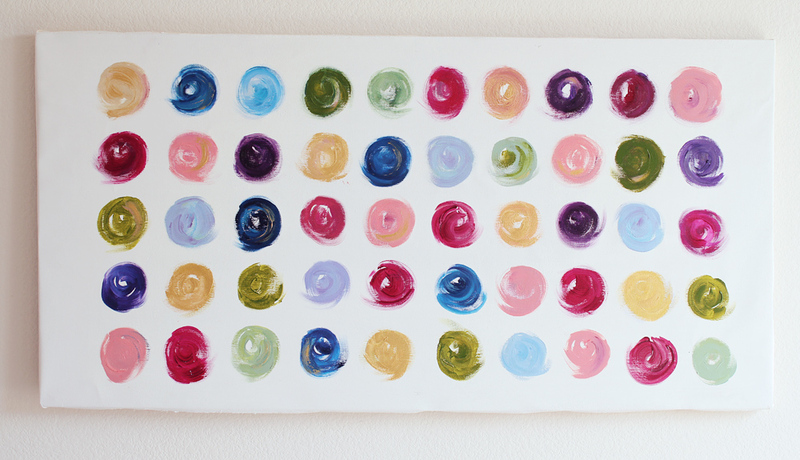 I love Jen's mix of colours in her paintings, always so cheery!